Firstly, I would highly recommend looking at the Make Up Revolution saved IG swatches story. When I bought the concealers a couple of months ago I guessed my shade from the online photos and got it completely wrong! However, this time I watched lots of the swatch videos before deciding that I was a mix of F6 and F7. These shades are a great match and I switch them up depending on whether I have fake tan on or not. I have dry/combination skin. My skin is very dry and tight once it's cleansed and freshly washed but throughout the day I can get oily areas on my face such as my chin, nose and in between my brows. This foundation is VERY dewy and glowy. 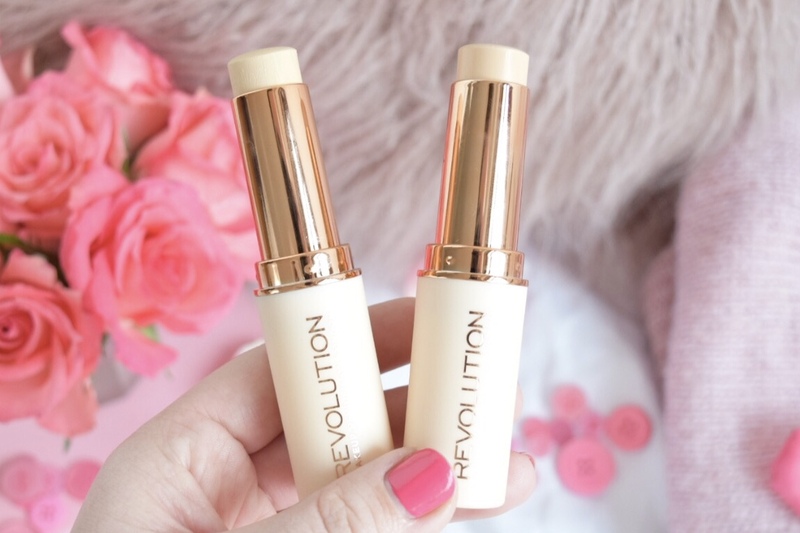 I haven't used other stick foundations before but I have heard that they can be quite drying and hard to blend out. Fast base definitely isn't drying and I have found it very easy to blend out. It is definitely buildable and I wouldn't say that it is completely 'full coverage' as you can still see blemishes underneath. I actually prefer a lighter foundation though as I don't feel I need or like a full coverage look on my skin. 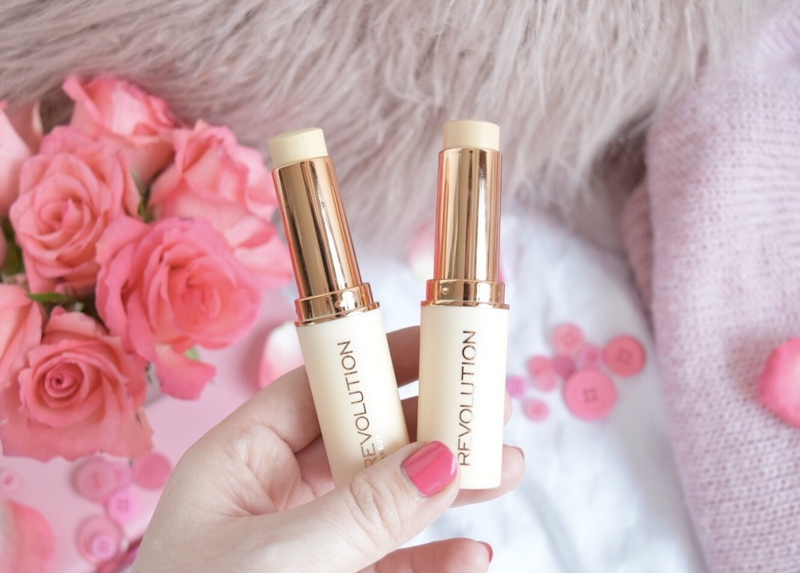 It does feel very light on my skin and I like how quick and easy it is to swipe on and blend out. The only place that it doesn't sit well on my face is my nose. In this photo you can see that it hasn't quite covered the redness on my nose and even with powder over the top it doesn't stick. This is quite normal for my skin though, depending on what kind of skin day I am having, foundations sometimes work and sometimes don't! I don't tend to set my whole face as I don't really like a matte look on me however, I have been setting under my eyes, forehead and chin area and it doesn't get cakey. Personally I would say that this is more of a day time foundation that you can swipe on if you haven't got a lot of time to get ready. It's light, it lasts well throughout the day and it definitely gives you that glowy, fresh look and for £5 you can't really go wrong! I'll definitely be purchasing this again and I am looking forward to seeing what else MUR has to offer!